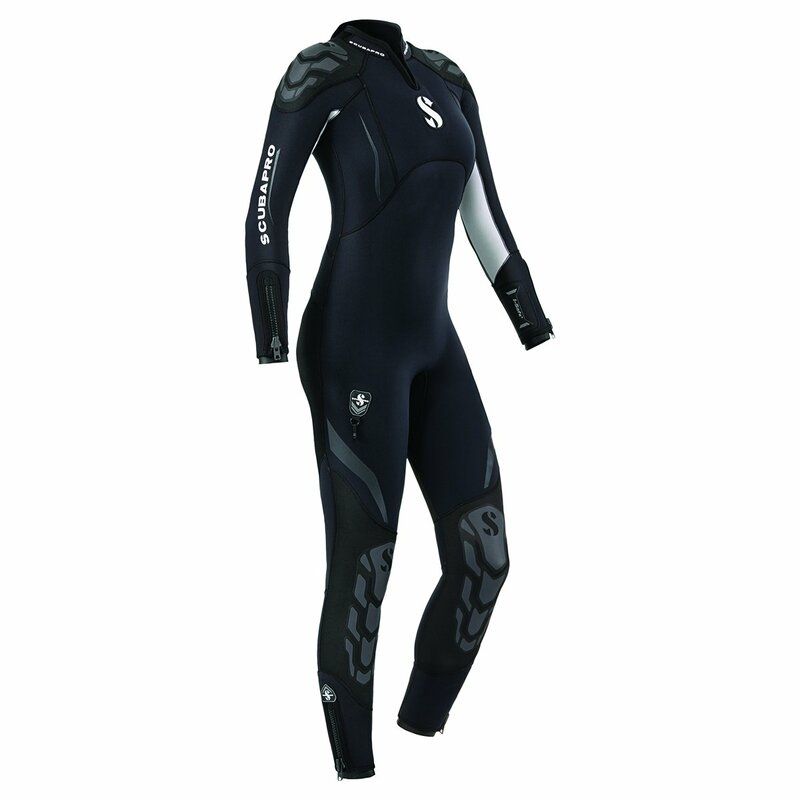 The ultra-warm and comfortable EVERFLEX 5/4MM uses SCUBAPRO’s exclusive Pure Design Concept for even better fit and freedom of movement than what was offered in previous versions of the suit. Preformed dimensional shapes allow this top-rated suit to move more naturally with your body, delivering unparalleled comfort and flexibility. Made from 100% Everflex neoprene for outstanding thermal protection, all Everflex steamers are assembled using an innovative solvent-free water-based Aqua glue, a 100% green process. Glideskin seals on ankles, wrists and neck and an easy-slide diagonal rear zipper make the EVERFLEX 5/4MM a comfortable steamer for diving warm to temperate waters.